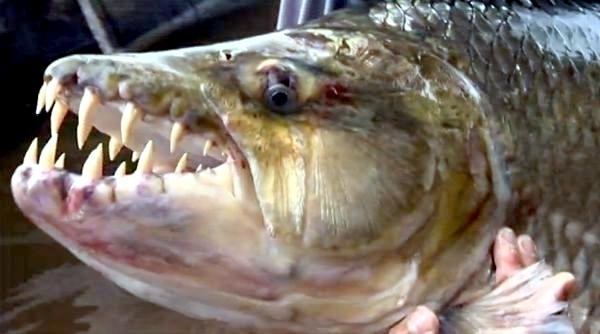 The Tigerfish is the name generally used to refer to a variety of fish species of the genus Hydrocynus. 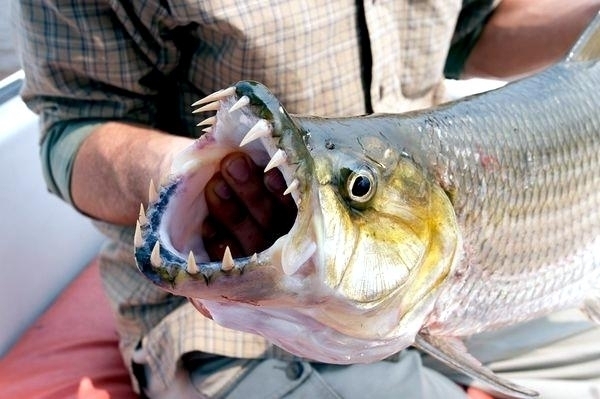 Native to Africa, the Tigerfish is located in scores of rivers & lakes throughout the continent. 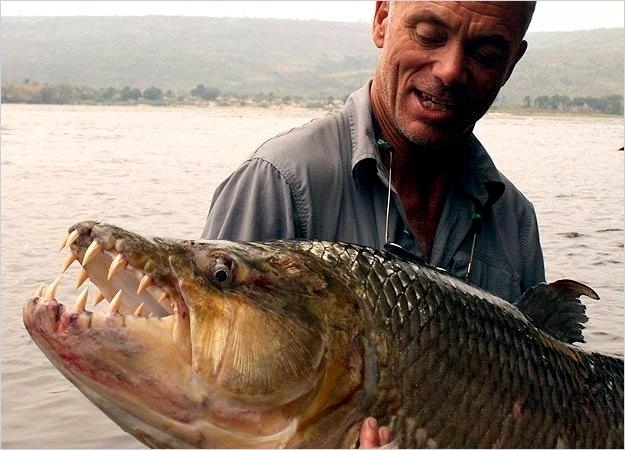 Although they can grow to quite large sizes, the Tigerfish can grow to more than 110 pounds and is rampant in Lake Tanganyika and the Congo River. 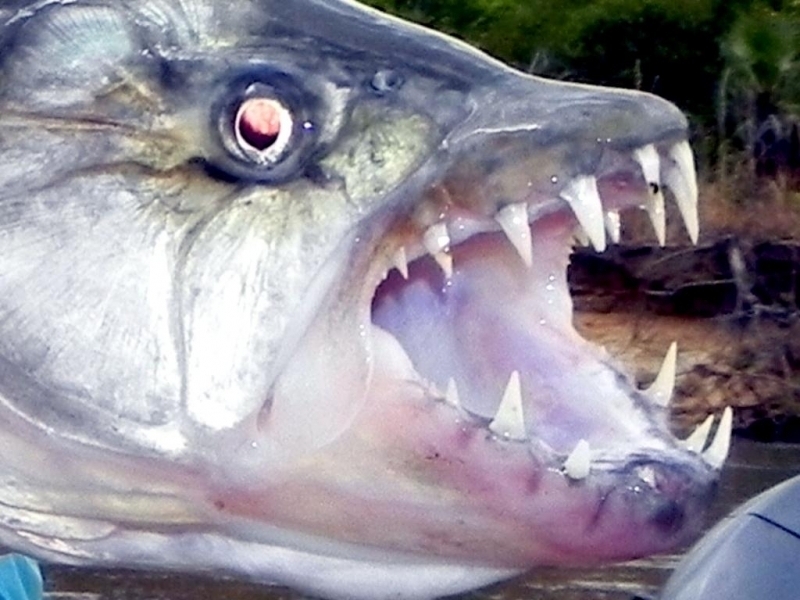 The African Tigerfish is the second most famous species. 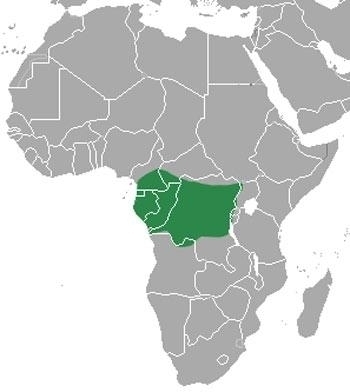 It can grow to up to 33 pounds and is common in the southernmost areas of the African continent. 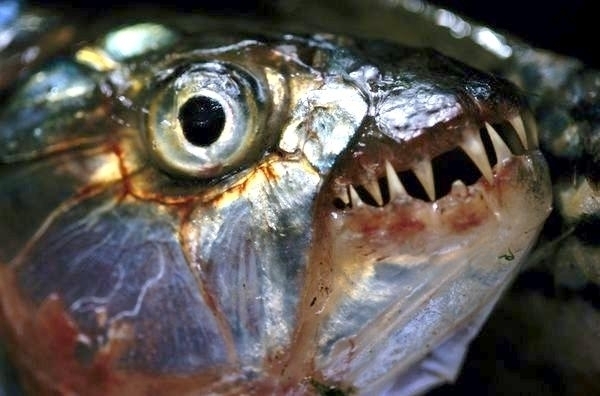 Biologically its naming is a literal combination of the English phrases ‘water dog’ and ‘striped’. 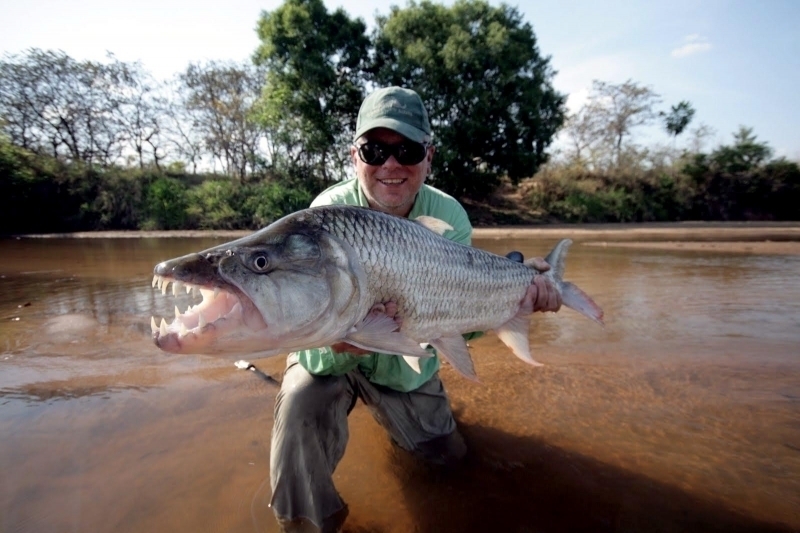 The African Tigerfish is common in areas around the Okavango Delta and the Zambezi River system. 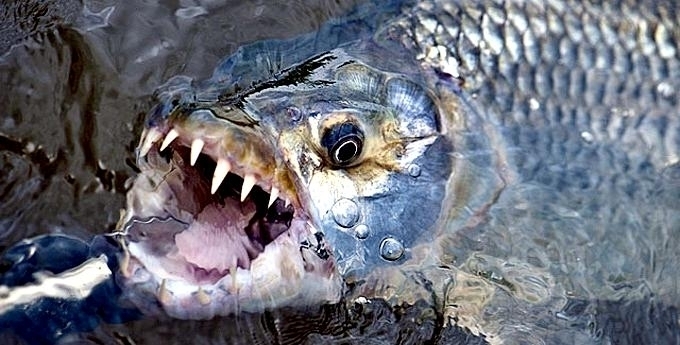 While most Tigerfish species are not known to be dangerous to humans, the Goliath Tigerfish is a scary exception. 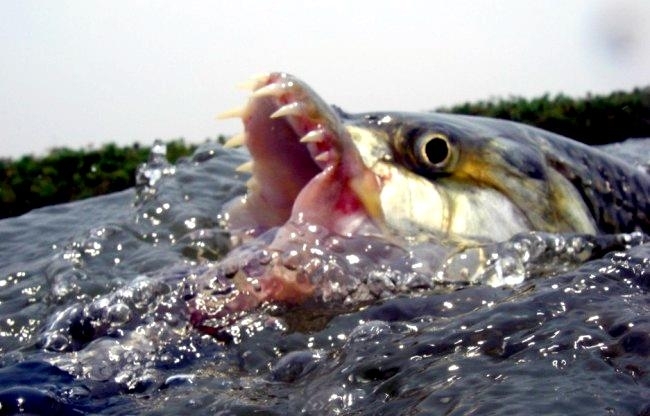 Citing recorded instances in the Congo River where unsuspecting swimmers have been preyed upon, it is the only African freshwater fish that is actually known to attack humans. 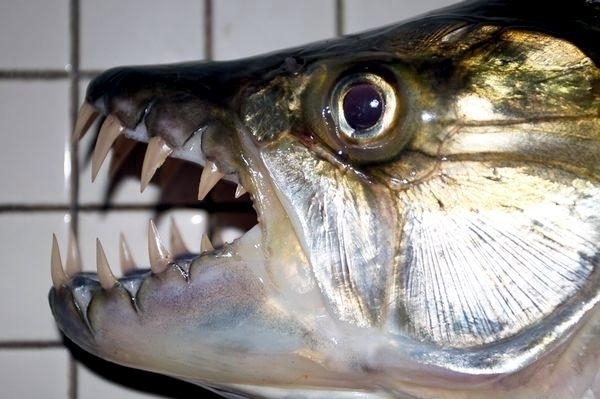 The second largest variety of Tigerfish the African Tigerfish, is a fierce predator characterized by a long slender shape and a forked caudal fin. Although its scales can be appropriately described as large, iridescent and silvery; sometimes they appear to have a golden cast. 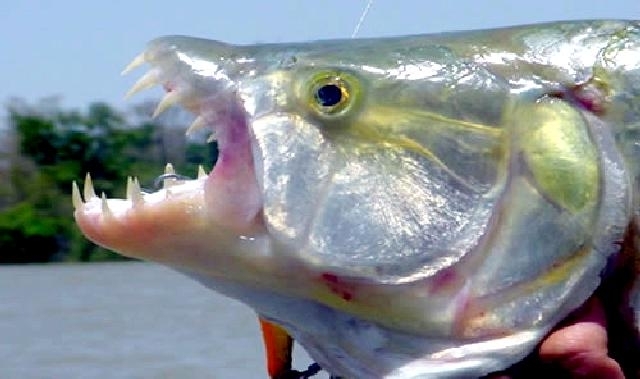 This Tigerfish has a colorful appearance ranging from light to dark shades making this species fascinating to look at. 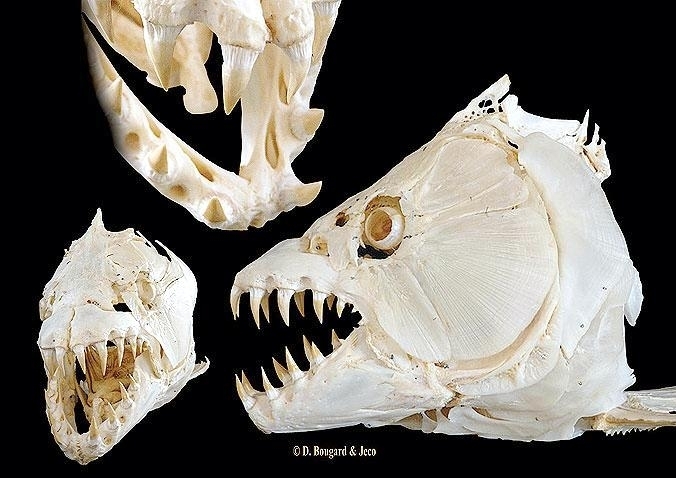 However, fish that live over sandy bottoms seem to have a much lighter appearance. 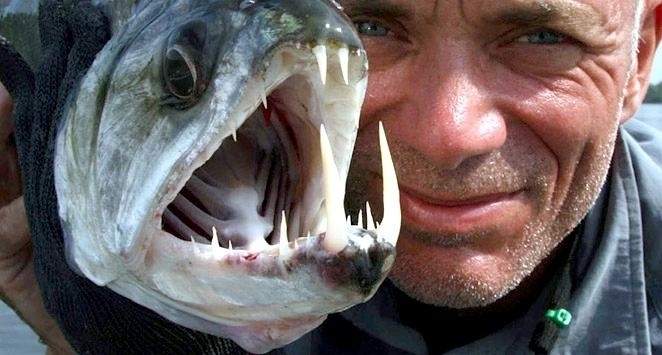 Distinguished by large & sharp protruding teeth, the African Tigerfish’s jaw holds a series of replacement teeth, meant to take the place of any teeth that might be lost or broken. 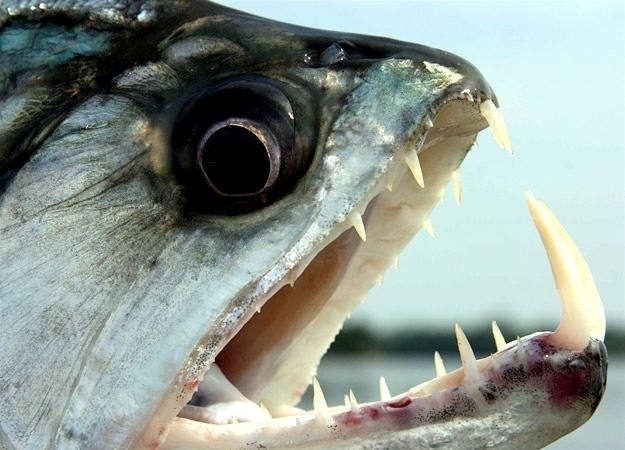 The major factor standing out in the distribution of the Tigerfish is water depth. 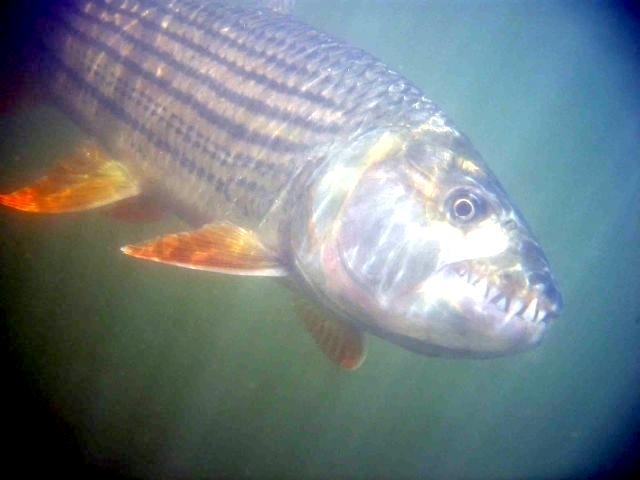 Studies conducted along major river systems show that the Tigerfish is rarely seen near rivers’ headwaters or in small tributaries. 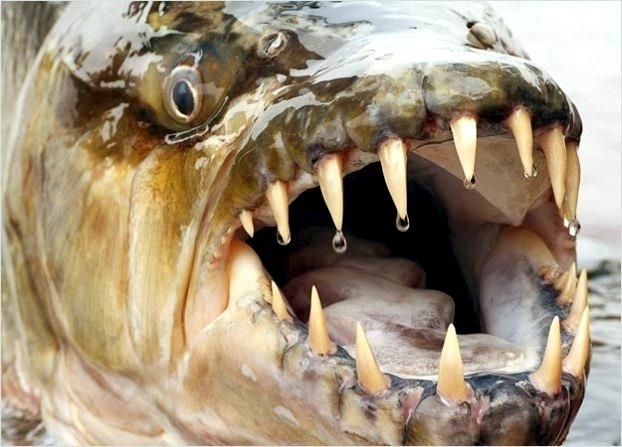 Nevertheless, the fact that the Tigerfish is an open water predator explains why it’s found near water surfaces in rivers. 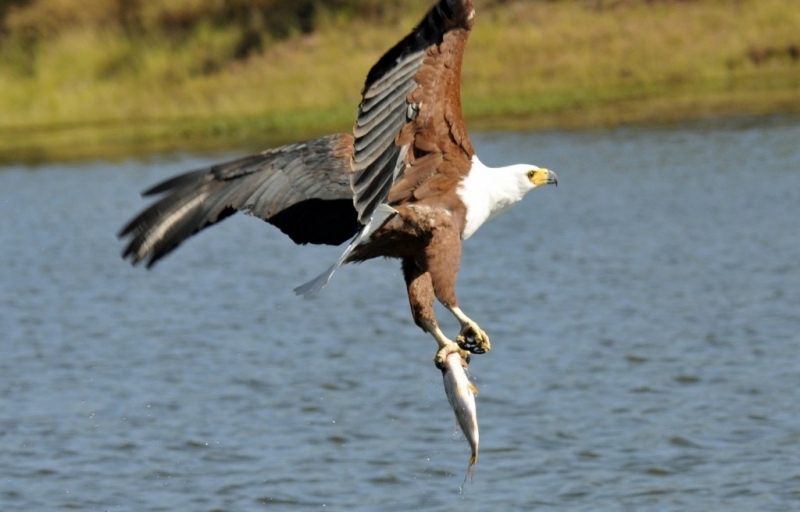 Among other victims of the Tigerfish’s predatory nature, the Fish Eagle is a primary prey along the Zambezi River and its major tributaries. 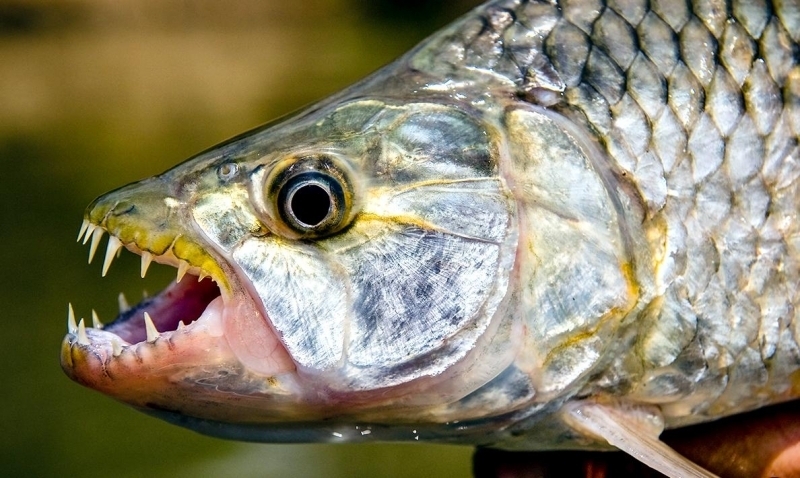 Compared to all the other species, the Tigerfish is probably the most prevalent type of fish in any river system around the South African region. 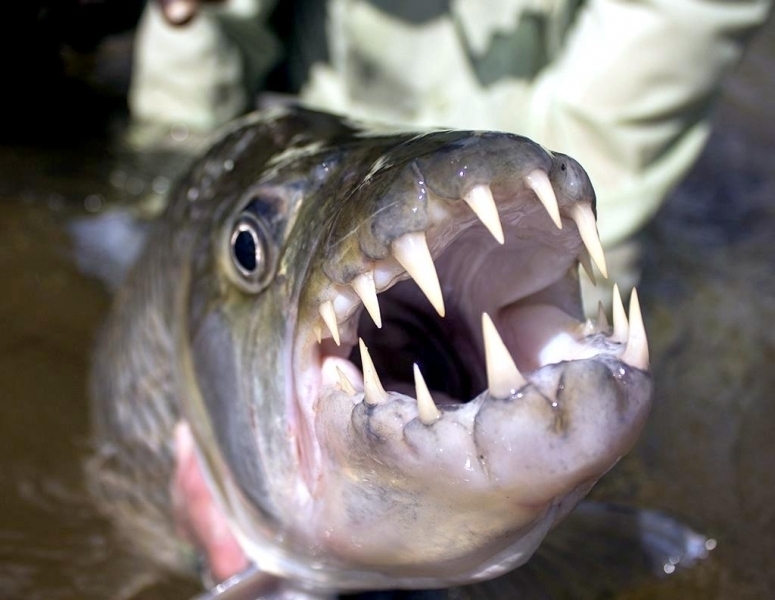 Tigerfish will mostly be found on the surface layers of warm, well-oxygenated waters– conditions characteristic of major rivers & lakes. 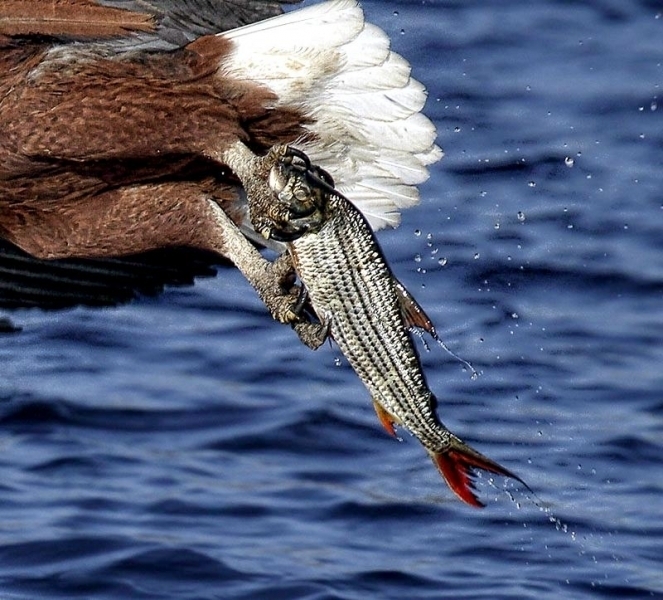 With the exception of the largest fish, the others form dangerous roving schools of like-sized fish and drift in the waters while hunting for whatever species of fish they can find. 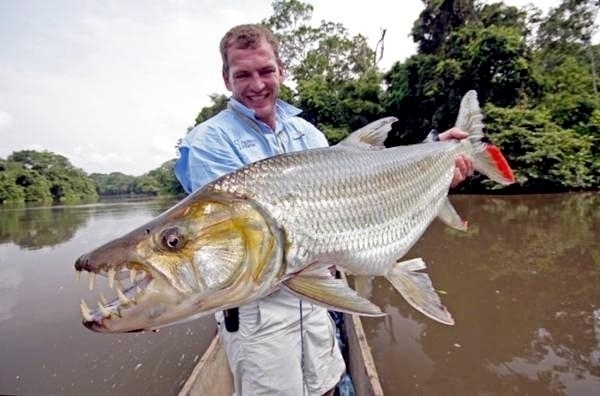 On the other hand, adult Tigerfish move in schools of 4 or 5 fish. 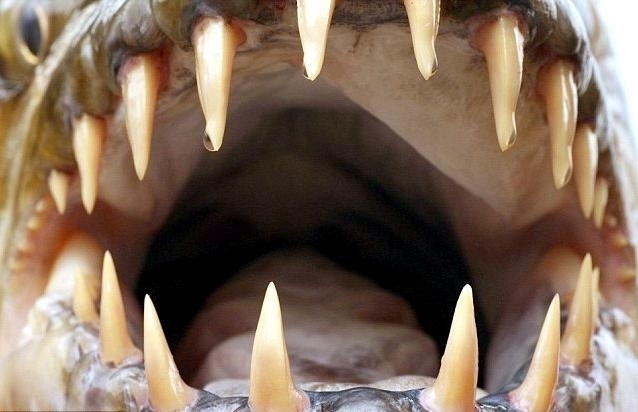 Still, they are just as dangerous as their younger brethren. 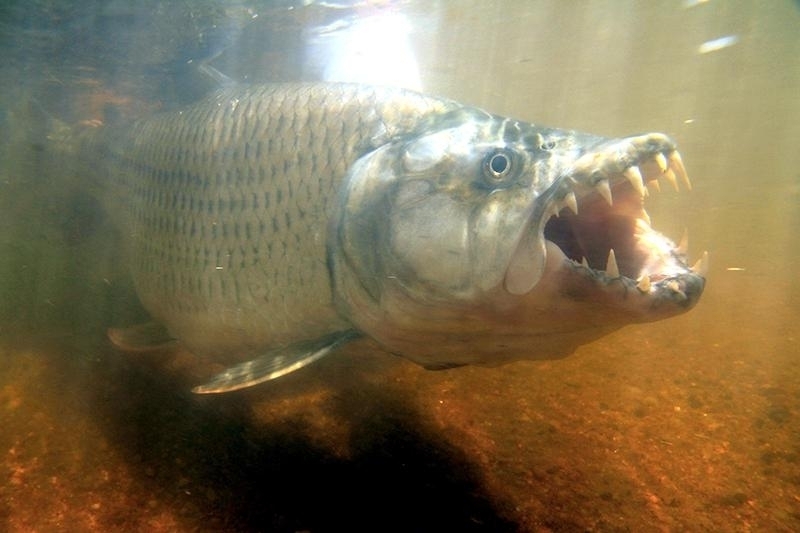 During its hunting expeditions, a Tigerfish will attack a prey as big as itself, including animals that might be found unwarily standing along river banks. 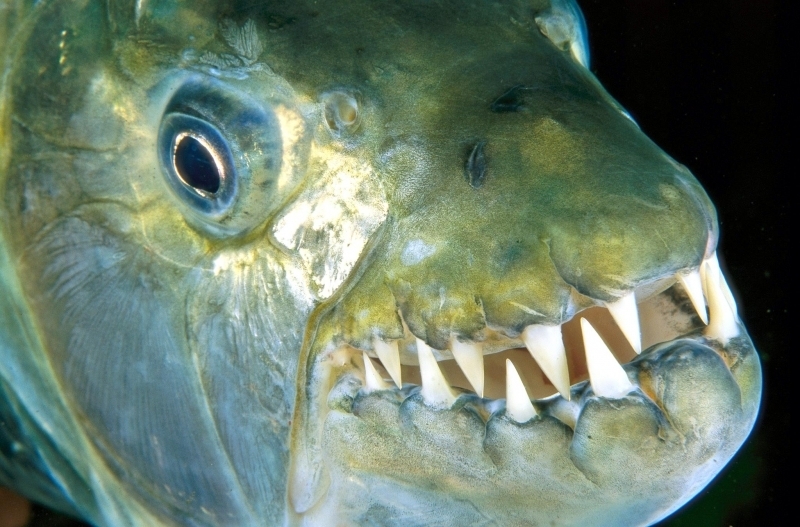 Surprisingly still, the Tigerfish will turn to cannibalism when food is scarce. 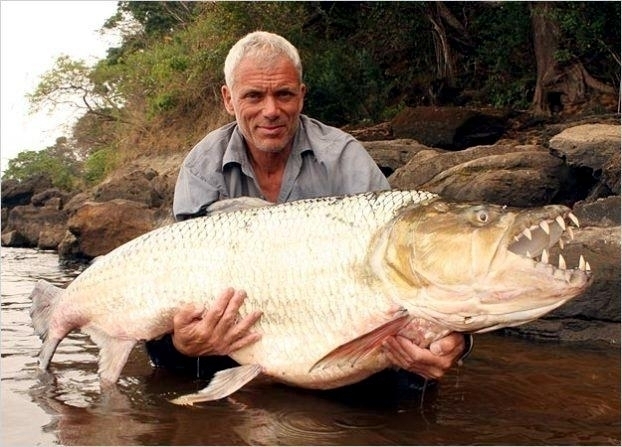 The Tigerfish along the Zambezi river system breeds during summer when the adult fish migrate either upstream or downstream to locate suitable breeding grounds, usually shores and flooded riverbanks. Once a suitable spawning ground has been located, a female can lay up to 780,000 ova which disperse onto floodplains & aquatic vegetation. Predators from the word go, baby Tigerfish feed on zooplankton and later graduate to more complicated prey as they grow & learn. 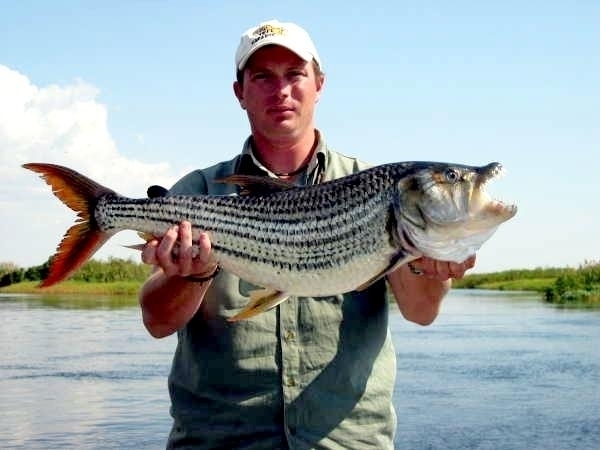 Regarded by sports fishing aficionados as a wily and fierce creature, Tigerfish are probably the most exciting freshwater game fish in the inland waters of Africa. 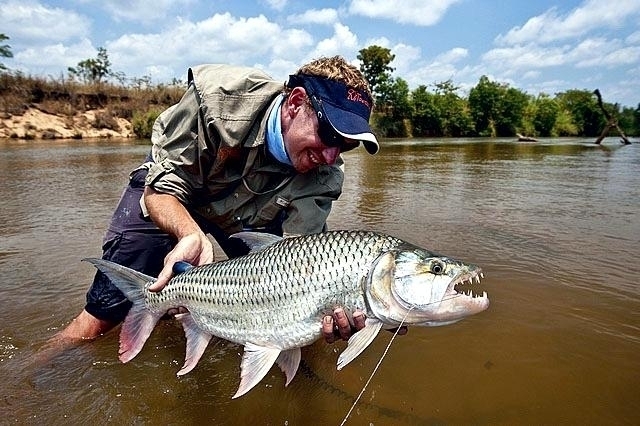 During the months of May, June and July, the upper areas of the Zambezi River is usually found to have a good number of professional & amateur anglers trying their skills at catching a Tigerfish. This is a popular time because the river has already reached its highest levels and is bound to recede back to the main channel within no time. 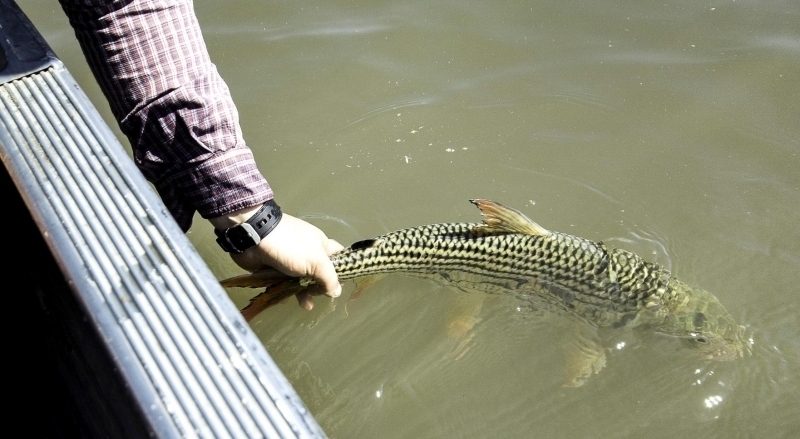 African Tigerfish and other predatory species already found in the shallow floodplains, have to find their way back to the main channel before dropping levels of water trap them on dry ground. 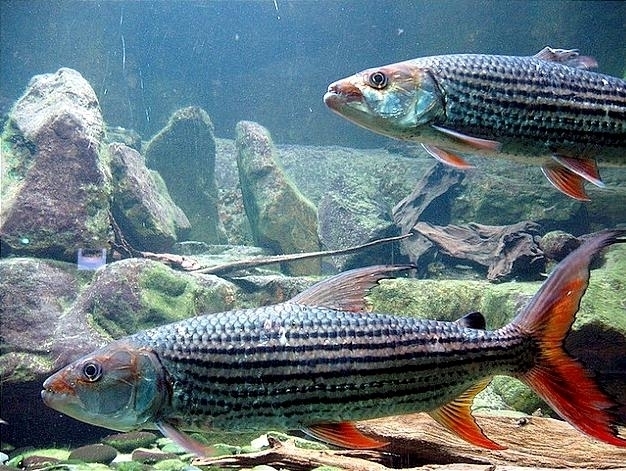 The conservation of Tigerfish in their African river habitats has of late been a priority among many maritime authorities. 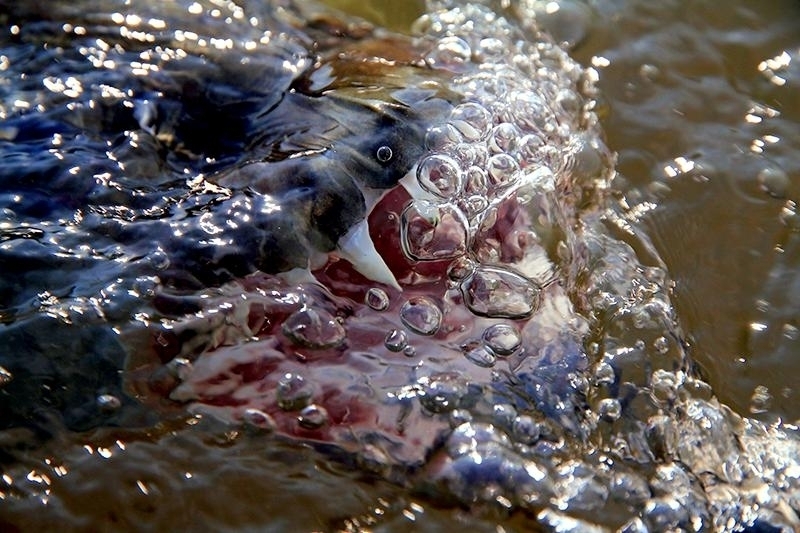 In Johannesburg, South Africa along the Komati River, Tigerfish enjoy a high conservation status. 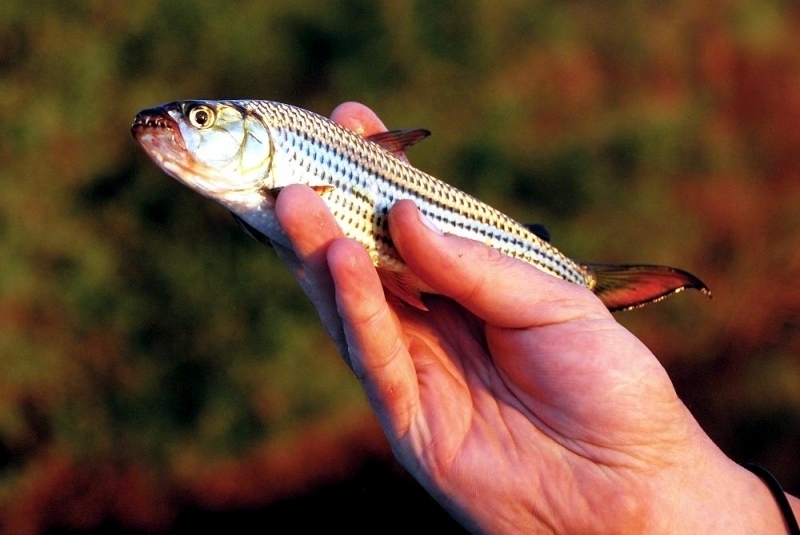 Authorities consciously promote a catch & release fishery basis in order to ensure the future survival of Tigerfish populations. 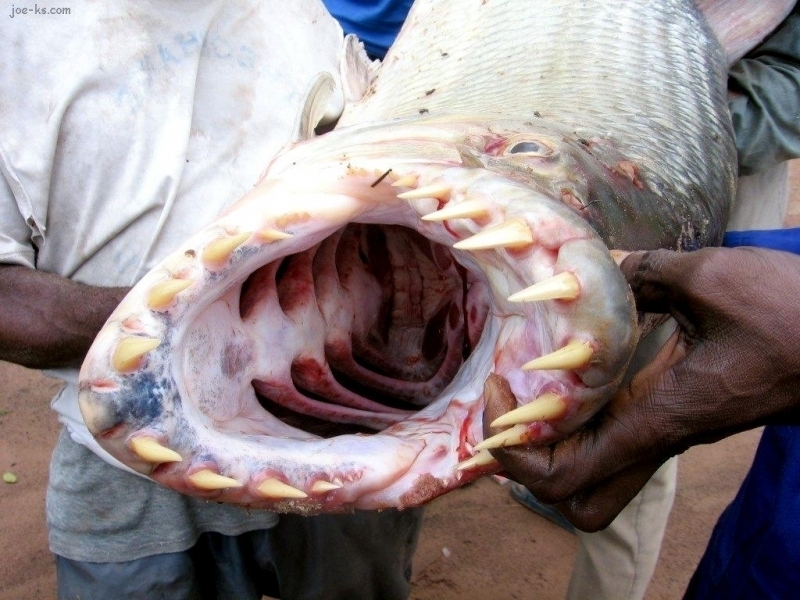 In most other African river and lake habitats, the major factors threatening Tigerfish and other fish species are: habitat degradation, over-exploitation due to fishing activities, the effects of introduced species and environmental pollution. 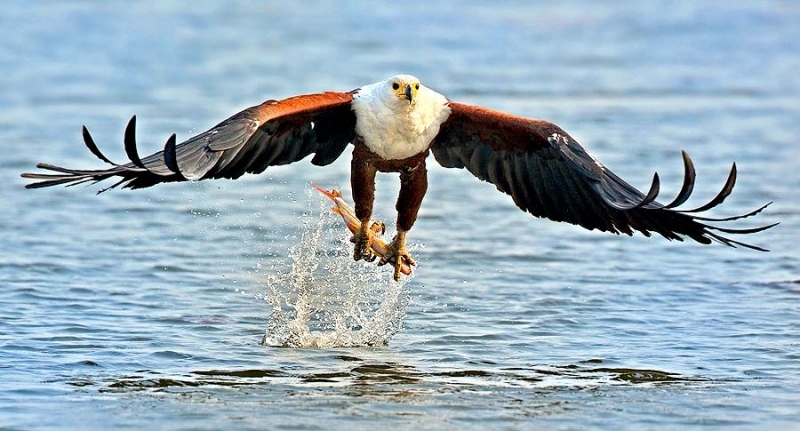 To curb these problems and ensure the survival of African Tigerfish, fish conservation & management authorities focus on the co-ordination of a detailed action plan. 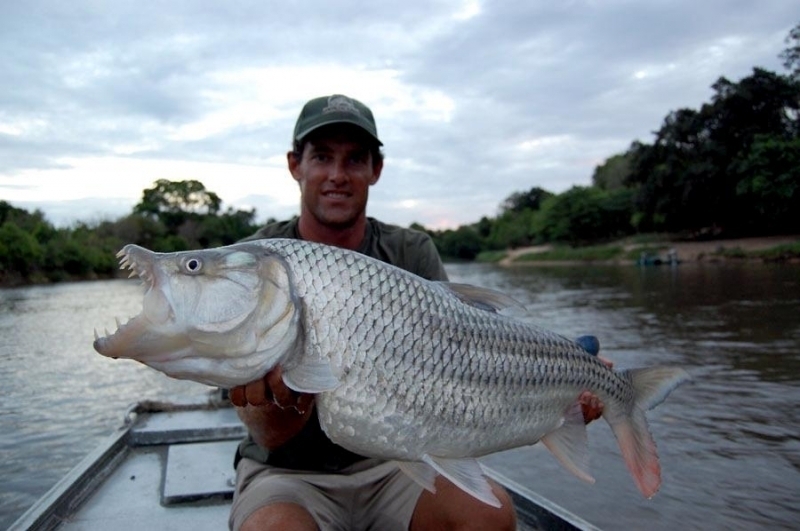 Among the key activities carried out to conserve Tigerfish are habitat control, controlled fishing methods & pollution control. 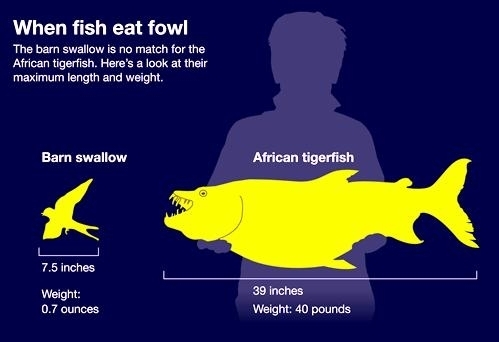 All in all, both species of the Tigerfish are doing well and are not considered threatened or endangered in any way.